Brett is a litigator and intellectual property attorney who brings a wealth of technical and legal experience to the firm’s practice. Throughout his career, Brett has handled all aspects of obtaining, enforcing, and defending intellectual property. Brett’s practice focuses on patent and trade secret litigation, and he routinely represents clients in proceedings before the Patent and Trial Appeal Board, such as Inter Partes Reviews (IPRs). Brett is also a registered patent attorney, who handles patent preparation and prosecution, patent opinions, portfolio development, acquisitions, and licensing. Brett’s cases have spanned a vast array of technologies, such as medical devices, semiconductors, manufacturing, materials, chemicals, automotive components, printers, RFID, sporting equipment, motion tracking, optics, lasers, signal processing, digital image processing, software, and Internet and e-commerce applications. Between earning a bachelor of science in mechanical engineering and obtaining his law degree, Brett gained invaluable technical experience as an aeronautical engineer designing and testing aircraft structure, hydraulic and electrical systems, and stealth-enhancing aircraft features. That hands-on knowledge informs Brett’s legal work and allows him to provide a real-world understanding of the complexities of his clients’ products, services, and technology. 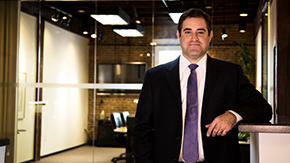 Brett has been recognized multiple times as a Rising Star by Texas Super Lawyers®.